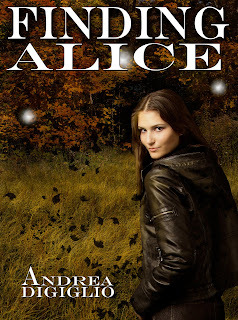 Paranormal writer Andrea DiGiglio is here today to chat about the first book in The Alice Clark series, Finding Alice. Born and raised in Michigan, Andrea has always been a writer at heart. Over the last decade, she has written, starred in, and directed many screenplays. In the last few years, she decided to venture back into writing novels and hasn't looked back since. She is very excited to share the worlds she creates with all of you dreamers. Welcome, Andrea. Please tell us about your current release. Finding Alice is book one of The Alice Clark Series. Cursed with an intense version of empathy, Alice runs from a wasted life to start a new one somewhere no one will know her; Hell, Michigan. Alice works at a hole-in-the-wall bar in the middle of nowhere mostly keeping to herself to avoid the overwhelming emotions of those around her. Alice allows her best friend to convince her into taking a few college classes without realizing it would drastically change her life forever. From her first day of class she was hooked on him; his scent, his eyes, the way he talked to her inside her head. Throughout her struggles, she learns about true love, true pain, and the truth of her own heritage. 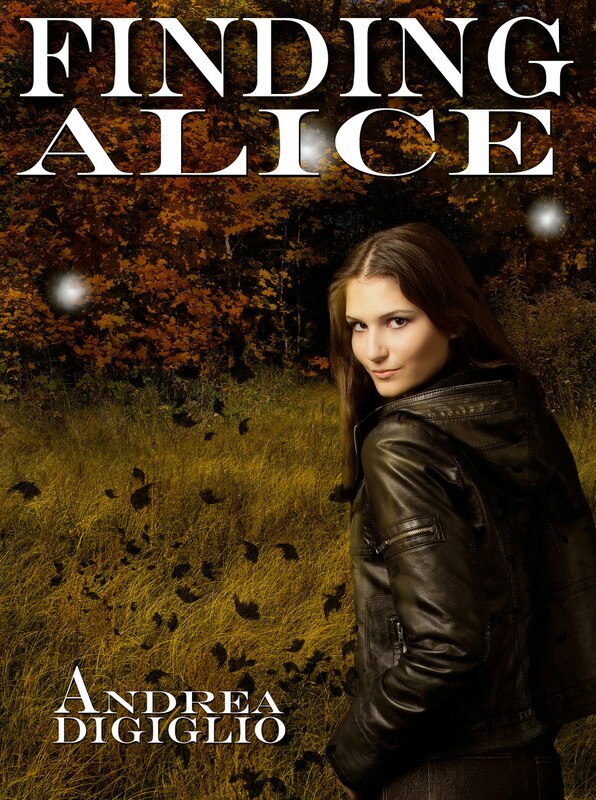 Alice must quickly find out who she is, because, after all, everyone else is out to find her. With angels and bounty hunters in constant pursuit, she finds protection within a group of Fallen Angels. These Fallen Angels vow to do anything to protect her; for it is their belief she will save their kind and all of mankind. I love everything paranormal so when I began to write it honestly just happened. The first quarter of the book was just me typing away at the computer. Once that was written, I would sit back and read through it and try to find major plot points to follow, but ultimately Alice ran the whole show. It’s a really difficult choice, but I believe it is a tie between Alice’s Sacrifice, Finding Alice’s sequel and the untitled paranormal novel I am working on with fellow author Jessica Gibson. The child in me is screaming 4th grade. I used to carry around one of those composition notebooks and it held all my best stories. The adult in me would say around eighteen, that is when I truly took it seriously. This is one of the hardest questions for me. I work for the family business currently as my day job. When I get home I spend time with my son and dog and go about our routines. I write during naps, when he first goes to bed, lunch breaks, and any other free moment I can grab a hold of. Not quite sure how to answer this. I do have a ritual when writing and usually I can get 5-10k words if I am not interrupted. I turn my writing playlist on, make coffee, and jam to the music. The slight distraction I feel opens me up to just write and let it pour out until my soul can’t lose anymore of itself. I wanted to be everything under the sun but mostly an actress. Read, write, watch, love, dream, and get out there in the world and put your mark on it. Great way to wrap up the interview, Andrea. Thanks for spending some time with us today! Thank you so much for being a part of my tour!